Why a Azure Software Developer Firebrand Apprenticeship? What is a Azure Software Developer Firebrand Apprenticeship? Azure Software Developer apprentices are taught how to build and test simple, high-quality code across front end, logic and database layers. They'll be able to interpret design documentation and specifications. Successful Azure Software Developer apprentices go on into roles such as Web Developer, Application Developer, Mobile App Developer, Games Developer, Azure Software Developer. 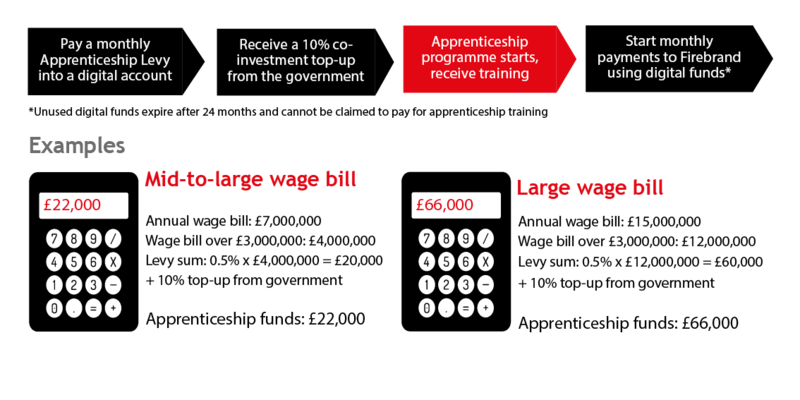 Apprentices will achieve one BCS Knowledge model and one vendor qualification. What are the benefits of a Azure Software Developer apprenticeship? Firebrand uses a combination of award-winning vendor course delivery combined with additional custom content. This apprenticeship-specific delivery ensures apprentices learn the additional syllabus outlined in the standard in addition to industry-recognised curriculum. When do Azure Software Developer apprentices train? Who can enroll on a Azure Software Developer apprenticeship? How much does a Azure Software Developer apprenticeship cost? How are Azure Software Developer apprentices assessed? What does a Azure Software Developer apprentice's journey look like? How do Azure Software Developer apprentices progress?